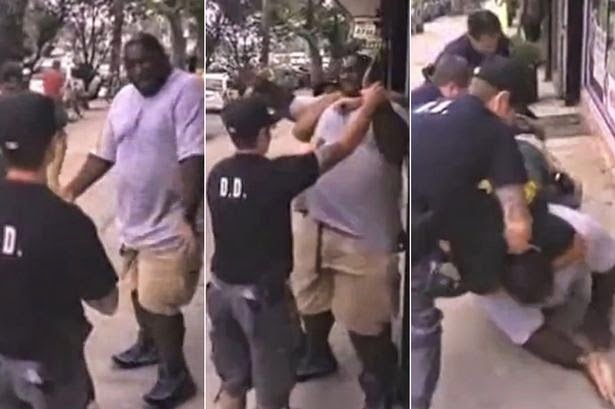 The tragic death of Eric Garner: Resisting arrest or resisting harassment? Last week, the body of Mr. Eric Garner was laid to rest after funeral services were held in Brooklyn, New York – Mr. Garner was the latest victim of NYPD use of excessive force…that led to Mr. Garner’s tragic death. Mr. Garner’s death has attracted international attention and considerable outrage for several reasons – Mr. Garner was an African American, unarmed, accused for selling cigarettes individually out of the pack – a long time practice called selling “loosies” – or as media reports state – selling untaxed cigarettes – and for that he was placed in an illegal police maneuver – the notorious chokehold. Although Mr. Garner lost his life after NYPD says he “resisted arrest” …was Mr. Garner actually resisting repeated police harassment? The National Black United Front (NBUF) has just held their 35th annual convention in Washington D.C. at Howard University between July 10th and July 12th. They opened their convention with two inspiring presentations, the first, a panel discussion entitled “Gentrification & Discrimination in Housing and Education: Why we need Reparations”. There were four panelists provided their analysis around the critical question of reparations and gentrification. The panel discussion was followed by a presentation, “African History: A Tool for Liberation” delivered by Dr. Leonard Jeffries, who was recently named the International Director of the Organization of African American Unity. See my article on the panel discussion published by The Black Star News here. 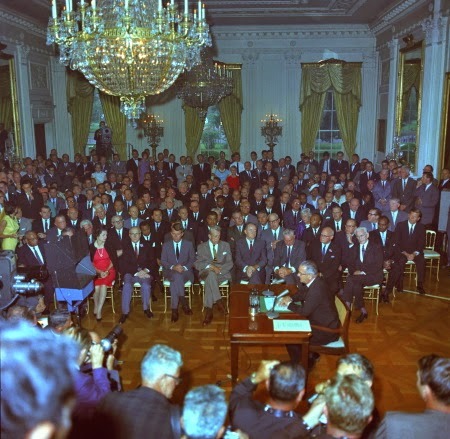 A nation still divided on race celebrates the 50th anniversary of the 1964 Civil Rights law. 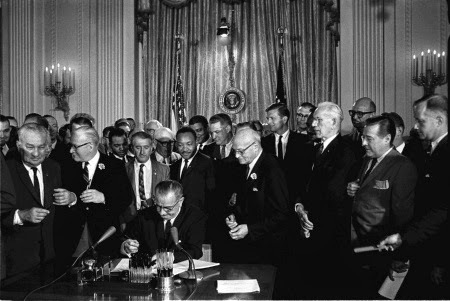 As you read and/or listen to the various social commentary and analysis, there's a particular focus on how the 1964 civil rights law transformed the nation by dismantling American apartheid. Consider for a moment how Jim Crow and states rights shackled black life in America where entry onto public spaces were severely restricted or just simply denied. Swimming pools, movie theaters, hotels. motels, restaurants, public transportation, libraries, hospitals and even cemeteries are just a few examples of just how deep the racial divide was before the 1964 Civil Rrights bill was passed.